Microsystems Therapy in Functional Disorders of E.N.T. and Stomatology. Scientifically Proved Acupuncture Approaches in Sinusitis, Vertigo, CranioCervico-Mandibular Dysfunctions and Orofacial Pain Jochen Gleditsch, MD, DDS President, ICMART 1990-1992 Honorary President, German Medical Acupuncture Association (DÄGFA) Lecturer and Consultant at the Medical Faculty of Ludwig-Maximilians-Universität, Mun Universitarian trials performed at the E.N.T. resp. Stomatology Departments of the universities of Dresden, Munich (both in Germany) and of Vienna (Austria) have proved that acupuncture is very beneficial in the treatment of functional disorders in the said fields. The points which proved most effective were points of the earlobe, of the skull (YNSA), of the oral cavity, as well as points of the hand, all of which are microsystem points. Experience shows that efficacy can be increased when using analogous points of several microsystems simultaneously. 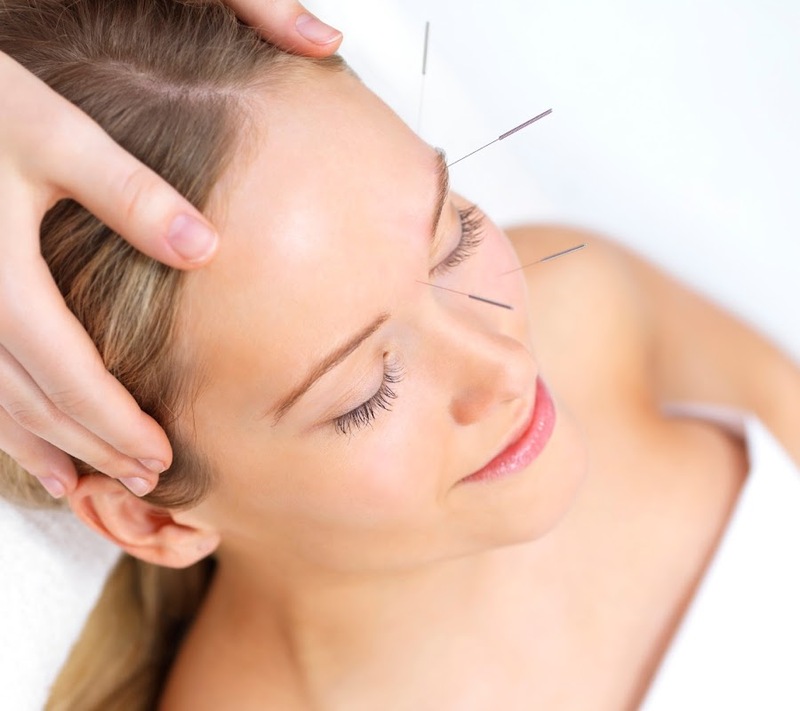 An important feature of microsystems acupuncture is that points have to be pricked precisely. This is achieved best by detecting the points in question with the acupuncture needle itself (“Very Point Technique”). Acupuncture for Neck Disorders: A Systematic Review Trinh KV*, Graham N, Goldsmith CH, Gross AR, Wang E, Cameron ID, Kay T *Associate Clinical Professor, Chair, Interviews, MD Admissions, McMaster University, DeGroote School of Medicine, Hamilton, Ontario, Canada Objectives: To determine the effects of acupuncture for individuals with neck pain. Method: We searched MEDLINE, EMBASE, MANTIS, CINHAL from their beginning to the September 2004 and Cochrane CENTRAL. We searched reference lists and the acupuncture database in China. We included any published randomised controlled trial (RCT), quasi-RCT or quasi-controlled clinical trial (CCT), either in full text or abstract form. Study quality was assessed using the Jadad criteria. When clinical heterogeneity was absent, we combined studies using random-effects meta-analysis models. Results: We found 10 trials that examined acupuncture treatments for chronic neck pain. Overall, methodological quality had a mean of 2.3/5 on the Jadad Scale. For chronic mechanical neck disorders, there are moderate evidence that acupuncture treatment is more effective compared to some type of sham controls at the end of the treatment for pain relief. However, this effect is short lived. There is moderate evidence that acupuncture is more effective than inactive treatment post-treatment and there is moderate evidence that acupuncture is more effective than inactive treatment at short term follow-up by meta-analysis (Pooled SMD -0.37, 95% CI -0.61 to -0.12). There is limited evidence that acupuncture is more effective than massage at short term follow-up. For neck disorders with radicular symptoms, there is moderate evidence that acupuncture is more effective compared to a wait-list control at short term follow-up. Conclusions: There is moderate evidence that acupuncture is more effective compared to some type of sham controls, to a wait-list control and to inactive treatments for pain relief . Where are the Benefits of Combining Acupuncture and Neuraltherapy in Treatment of Myofascial Syndromes LIERTZER Helmut M.D. (Orthopaedic department, Herz-Jesu Hospital, Vienna; Johannes Bischko Institute for Acupuncture, Vienna, Austria) Unlike acupuncture neuraltherapy was discovered and developed by Huneke last century. Both kinds of therapy have in common a potential of a more or less side effect free treatment of myofascial pain syndromes. Both kinds of therapy are applied primarily in the segment. An essential component of this segmental reflex therapy is the examination and treatment of local trigger points (Travell & Simons). Differences between both methods are found in the peripheral treatment. The use of distant points is of decisive importance for acupuncture according to the traditional concepts. Newer concepts in neuraltherapy also use points along the muscle chains which correspond largely to the acupuncture meridians and are treated with local anaesthesia. Furthermore it is possible to stop the influence of disturbed structures (like sinusitis, bad teeth, scars) for at least a short time. In that case the physiological regulatory system can be built up again normally and the readiness to react on a therapeutic stimulus is restored again. This effect can be a help for patients who didn’t respond to a previous acupuncture therapy. The combination of neuraltherapy with ear acupuncture or scalp acupuncture has proved itself useful, as well as the combination of body acupuncture with neuraltherapy when there is suspicion of additional loads by disturbed structures. The Very-Point-Technique in chronic pain Gleditsch Jochen, MD, Lecturer Pain Clinic University Munich, Germany. The VERY-POINT-TECHNIQUE was developed by myself 30 years ago, because, especially in microsystem therapy, it is essential to hit the eligible points most exactly. This technique enables to locate the very (veritable!) therapy-spot most precisely, by using the needle for both point-determinating as well as pricking the point. To start with, the surroundings of the suspected point have to be tapped and dabbed gently, tangentially, by the needle, that is held slantwise. In the very moment that the point is met precisely in its center, the patient invariably gives a response: mimically or verbally, e.g. ‘Here!’ or ‘Yes! At this very moment, without losing touch, the needle is to be erected and inserted. This Very-Point.Technique does not only guarantee maximal accuracy but also evokes the patient’s (subconscious) consent to the operation. It is well-tried to start the therapy by three checking steps 1. Very-point--detection at microsystemareas and points which are correlated to the brain stem (e.g. auricle, skull-YNSA and/or retromolar enoral points), to the craniocervica1 and/or the craniomandibular and/or neck receptor fields. When precise needle touch and/or insertion has evoked very spontaneous mimical or verbal response of the patient, when ON-points are being changed to total OFF-state, this can be interpreted as an affirmation of the subconscious subcortical level. In this way the patient’s acceptance is positively integrated in the procedure. 2. Very-point-detection at microsystemareas and points that are correlated to the pain condition in question: the most sensitive hyperactive points are to be treated by very-point-needle-insertion. After that, pre-detected but not yet treated points of other microsystem should be re-checked, whether ON-points now have changed to OFF-state, or prove significantly reduced in their sensitivity. If so, this is to be interpreted as that the cybernetic-informative autoregulating system is now being “opened”. 3. Very-point-detection and pricking of contralateral points at the precise symmetrical location to the actual pain. If in this way pain can be reduced to some remarkable percentage, this may be interpreted as that the segmental/ neuronal pathways will respond further with their pain modulating mechanisms. These three initial steps of getting ‘RESPONSE’ have proven to be good in order to acquire the best results in chronic and psycho-involved ill-conditions. It is for both traditional and microsystem acupuncture, as herewith the therapy obstacles are being alleviated, whereas the patient himself can feel more integrated in the whole therapy procedure. Post-traumatic stress disorders – an integrative east-west psychosomatic approach Marić-Oehler Walburg, MD, Lecturer of Acupuncture University of Mainz, Honorary Professor of Fujian University of TCM, Bad Homburg, Germany. As long as Post-traumatic Stress Disorder/ PTSD is defined as a separate pattern in psychotherapeutic medicine it is diagnosed increasingly often in medical and psychotherapeutic practice. Research in neuroscience is more and more focused on this subject. Neuroscience found out that the effect of acupuncture is based on various mechanisms and processes in the central nervous system. Combining the two facts there must be a connection between the western and the oriental medical theory and practice of PTSD. The oriental medical understanding of (psychic) shock, injury and traumatic experience is psycho-somatic in the unique way of this medical system. PTSD will be explained by concepts of Oriental Medicine, e.g. Five Phases, Zang Fu, the concept of Qi, the concept of Hun Po and the Meridian Theory. The knowledge and experience of Oriental Medicine will be connected with western understanding, ideas and concepts in medicine, psychosomatics and psychotherapy. It could be helpful to combine western psychotherapeutic diagnostic procedures with the diagnostics of Oriental Medicine. This makes it possible to combine treatment procedures of both systems not just parallel but in a specific way, different forms of psychotherapy with different forms of acupuncture and other methods of OM. In its unique nature acupuncture is able to touch the roots of the spirit. In this way patients with PTSD could get an integrative east-west psycho-somatic treatment. 10 Acupuncture and psychotherapy in phobic disorders Nepp Johannes, MD, Department of Ophthalmology, Medical University Vienna, Johannes Bischko-Institut of Acupuncture; Academy of Psychotherapy, Austria. Introduction Anxiety is common in patients with dry eyes. In ICD-10 there exist several kinds of anxiety: Panic, claustrophobia, social phobia, specific phobia and general phobia. In TCM anxiety is well known in organ syndromes, like heart and kidney syndromes. Our question was, which effect could be observed after acupuncture in any kind of anxiety. Our second question was, if there is a difference between psychotherapy and acupuncture. Patients and methods In an open controlled study 20 patients with phobia were observed. Questionaires of anxiety (TRIPS) were used to find symptoms and diagnosis. To measure subjective severity of complaints the visual analogue scale was used. All patients were treated with Acupuncture: Laser (5mW), 20 Sec at each point, 10 sessions 1/week. Point selection was individually determined, but every patient was treated at points that have influence on phobic symptoms: heart 5-7, kidney 2-8- 27, UB15, 23 and the ear point “anxiety”. Half of the patients additionally were treated with psychotherapy, the guided affective imagery (GAI). The pictures should illustrate the emotional stress and the subconscious facts of anxiety. One single patient was treated with psychotherapy without acupuncture to compare the effect with that of acupuncture. Results All patients had subjective reduction of symptoms, but only in 6/10 patients the diagnosis was reduced. Best effect was seen in panic and general anxiety. There was minimal effect in patients with current troubles and negative events. The pictures showed emotional stress and facts, which influence the emotion. There was an improvement of emotion in pictures after acupuncture. The best effect was seen in GAI combined with acupuncture. GAI alone improved the mental disorders but not the somatic complaints. Acupuncture reduced those somatic problems and therefore calmed the emotional stress. Conclusion Anxiety is a deep psychological malfunction, which affects the somatic functions. Psychotherapeutic methods have an influence on psychic troubles, calm the emotional stress and elaborate subconscious disorders. Acupuncture influences the deep nerval functions and therefore somatic complaints. Best effect was seen after combination of both methods because of the two different mechanisms that affect the phobic disorders. Acupuncture and psychotherapy in phobic disorders Nepp Johannes, MD, Department of Ophthalmology, Medical University Vienna, Johannes Bischko-Institut of Acupuncture; Academy of Psychotherapy, Austria. Introduction Anxiety is common in patients with dry eyes. In ICD-10 there exist several kinds of anxiety: Panic, claustrophobia, social phobia, specific phobia and general phobia. In TCM anxiety is well known in organ syndromes, like heart and kidney syndromes. Our question was, which effect could be observed after acupuncture in any kind of anxiety. Our second question was, if there is a difference between psychotherapy and acupuncture. Patients and methods In an open controlled study 20 patients with phobia were observed. Questionaires of anxiety (TRIPS) were used to find symptoms and diagnosis. To measure subjective severity of complaints the visual analogue scale was used. All patients were treated with Acupuncture: Laser (5mW), 20 Sec at each point, 10 sessions 1/week. Point selection was individually determined, but every patient was treated at points that have influence on phobic symptoms: heart 5-7, kidney 2-8- 27, UB15, 23 and the ear point “anxiety”. Half of the patients additionally were treated with psychotherapy, the guided affective imagery (GAI). The pictures should illustrate the emotional stress and the subconscious facts of anxiety. One single patient was treated with psychotherapy without acupuncture to compare the effect with that of acupuncture. Results All patients had subjective reduction of symptoms, but only in 6/10 patients the diagnosis was reduced. Best effect was seen in panic and general anxiety. There was minimal effect in patients with current troubles and negative events. The pictures showed emotional stress and facts, which influence the emotion. There was an improvement of emotion in pictures after acupuncture. The best effect was seen in GAI combined with acupuncture. GAI alone improved the mental disorders but not the somatic complaints. Acupuncture reduced those somatic problems and therefore calmed the emotional stress. Conclusion Anxiety is a deep psychological malfunction, which affects the somatic functions. Psychotherapeutic methods have an influence on psychic troubles, calm the emotional stress and elaborate subconscious disorders. Acupuncture influences the deep nerval functions and therefore somatic complaints. Best effect was seen after combination of both methods because of the two different mechanisms that affect the phobic disorders. Successful application of acupuncture in emergency medicine – new case reports Schockert Thomas, MD, Lecturer for YNSA at Witten/Herdecke Private University, Nideggen, Germany. Background Acupuncture has been successfully applied, both for preventive purposes and in the treatment of a very wide range of serious illnesses, for thousands of years. Worldwide, acupuncture has already been successfully applied in a number of crisis regions and in emergency medicine. Methods The following types of acupuncture are applied: TCM needle acupuncture, ear acupuncture, acupressure and Yamamoto New Scalp Acupuncture. Results Acupuncture is successfully applied for indications such as asthma, acute urine retention, acute apoplectic insult, shock, loss of consciousness, allergic reactions to insect bites and stings, lip oedema, lockjaw, psychiatric conditions such as mania, restlessness and anxiety, as well as acute pain and epilepsy. The authors’ experiences are illustrated by case studies. Conclusions Due to the good effectiveness of acupuncture, especially since the treatment takes effect very rapidly, I would like to encourage the use of this procedure as a supportive measure both in emergency medicine as well as by the emergency services. There is a need for extensive studies on the application of acupuncture in emergency medicine and preliminary work is already in progress. Clinical use Of acupuncture In mental health Aung Steven K.H., MD, PhD, Clinical Professor, Faculty of Medicine and Dentistry, University of Alberta, Adjunct Professor of Extension, Rehabilitation Medicine, Public Health, and Pharmacy & Pharmaceutical Sciences, University of Alberta, Edmonton, Alberta, Canada, Associate Clinical Professor, College of Dentistry, New York University, USA. Acupuncture is an excellent modality for treating mental health, especially physical, mental, and spiritual imbalances. There are seven emotional conditions which are connected to every zang fu organ system. They are as follows: anxiety (heart and small intestines), worry (spleen and stomach), fear and fright (kidneys and bladder), anger (liver and gallbladder), sadness (lungs and large intestine), and depression (pericardium and triple energizer). Each organ system is associated with positive and negative types of emotions. When the organ system is healthy – they have a positive emotional factor. There are two gates of human consciousness in the upper extremities. These spiritual gates are: TE.5x2 (outer gate for emotional ventilation), PC.6x2 (inner gate for human consciousness). Other categories include: HT.7x2 (deep relaxation and sleep), BL.14x2, BL.15x2 with cupping (deep relaxation). Cupping and moxibustion on the back shu points are used for sedation and tonification of emotions of the corresponding organ system: CV.5 (subconscious childhood trauma), usually combined with TE.5 (to further explore childhood trauma), GV.4 (a life gate point to increase patient’s spirit), GB.41x2 (reunion of inner and outer spirits), GV.20 (the most powerful point for harmonization known as one-hundred points meet each other), and EXHN.1x4 (four wisemen is for mental alignment of vital energy). One of the bladder meridians (three tsun away from the midline ) is mainly used for treating psychosomatic disorders. Overall our bodies have everything that is necessary to ultimately be balanced and harmonized. Acupuncture-related techniques: beyond acupuncture for pain amelioration and tissue functional restoration Frank Bryan L., M.D, Edmond, USA. Introduction Beyond acupuncture and Neural Therapy, Prolotherapy is an important acupuncturerelated technique largely unknown and unpracticed globally, even by many medical acupuncture practitioners, while it has been taught and practiced in the USA for over 50 years. Prolotherapy may be the most important acupuncture-related technique that has largely been omitted in most medical acupuncture practices. Aim The aim of this presentation is to introduce Prolotherapy as a potent, viable acupuncture-related technique and to encourage its integration within medical practices. 55 Nederlandse Artsen Acupunctuur Vereniging NTvA 34e jaargang nr. 1 Methods The method presented is a review of the principals of Prolotherapy for tissue regeneration and healing, especially where acupuncture and Neural Therapy have failed. Results Prolotherapy involves restoring the integrity of supporting ligaments and tendons through the injection of proliferative agents, thereby restoring functional skeletal support. By removing the pathological load on myofascial tissues, the body can, in turn, arrest many chronic pain and degenerative pathologies. Further, regeneration of cartilage in joints may restore the joint surface and function. Conclusion Prolotherapy can significantly impact pain recovery and restoration of pain and function when acupuncture and Neural Therapy have failed to address the causal events. It is a critical therapeutic that warrants serious consideration.